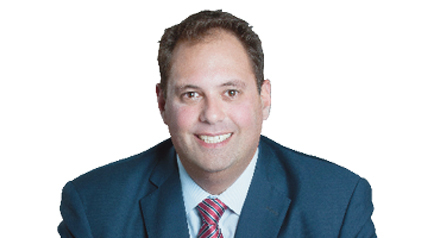 The Premier, Daniel Andrews, thanked Mr Dalidakis for standing aside, saying something “has to give” if women were going to make up half the Cabinet. “I am deeply grateful to Philip Dalidakis for the work he’s done, and for the very gracious, very generous manner in which he has …been able to facilitate this really good outcome,” he said. At this year’s VAFI dinner, Mr Dalidakis, the Minister for Small Business, Innovation and Trade in the previous Andrews Government, vowed to boycott Bunnings and Officeworks if they refused to sell forest products sourced from VicForests. Mr Dalidakis, who told the dinner that Victorian forestry had a bright future, also defended the Government’s financial support for the Heyfield sawmill as vital for the town and the industry. Meanwhile, VAFI has said it is looking forward to working with the re-elected Labor Government. The chief executive, Tim Johnston, said a clear policy was needed to provide security to the industry, which contributes $7.3 billion annually to the Victorian economy. “I look forward to review current approaches to resource supply, operational regulation and reporting, and will continue to seek government commitment for a comprehensive industry plan to secure sustainable long-term timber supply from state forests and expanded supply from plantations,” he said. VAFI hopes to see an expanded plantation estate over the next decade with plantation development in both eastern and western Victoria. Other policies include a $15 million Industry Skills Fund and increased funding for timber haulage infrastructure. Mr Johnston said VAFI would continue to work closely with the Government on issues that affected the short and long-term viability of the industry. These issues included existing state forest resource certainty, jobs and economic contribution, wood use encouragement, training and skills, as well as innovation, investment and infrastructure. “Victorian timber products are not only renewable, recyclable and store carbon, they represent an essential, economical, low-carbon component for new housing, paper production and technological innovation,” he said. The Andrews Government has allocated $110 million for new plantations in the Latrobe Valley, but has not issued any details about the project.